OMG, Food Trucks have gone mainstream! Wow, food trucks have indeed gone main stream!! 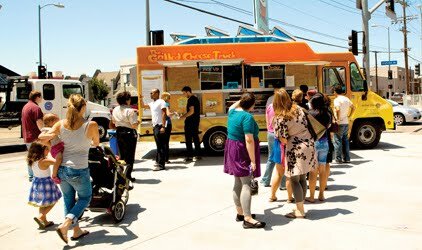 I received a tweet from the Auto Club of So cal who wanted to share a write up on LA food trucks being featured in this month’s Auto Club News. Click this link to read the article on the “newer” trucks you can find in the greater LA area. Too bad they didn’t interview Orange County Foodies to represent the OC! 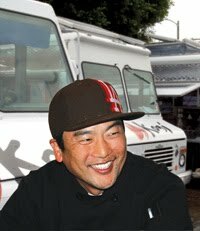 The @KogiBBQ owner, Roy Choi. Click here for the interview with Papa! OC Foodies: New hot lunch spot on Thursdays!